The company was founded as Activision, Inc. in October 1979 in Sunnyvale, California, by former Atari game developers, upset at how they were treated at Atari, to develop their own games for the popular Atari 2600 home video game console. Activision was recognized as the first independent third-party video game developer. The 1983 video game crash, in part created by too many new companies trying to follow in Activison's footsteps without the expertise of Activision's founders, hurt Activision's position in console games, forcing them to diversify into games for home computers, including the acquisition of Infocom. After a management shift, with CEO Jim Levy replaced by Bruce Davis, the company renamed itself as Mediagenic and branched out into business software applications. Mediagenic quickly fell into debt, and the company was bought for around US$500,000 by Bobby Kotick and a small group of investors around 1991. Kotick instituted a full rework of the company to cover its debts, dismissing most of its staff, and moving the company to Los Angeles, reincorporated under the Activision name. Building on existing assets, the Kotick-led Activision pursued more publishing opportunities, and after recovering from the former debt, started acquiring numerous studies and intellectual properties over the 1990s and 2000s, among these being the Call of Duty and Guitar Hero series. Activision Holdings was formed to manage the internal and acquires studios. In 2008, Activision's parent merged with Vivendi Games, the parent company of Blizzard Entertainment, and formed Activision Blizzard, with Kotick as its CEO. 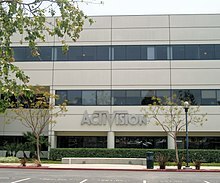 Within this structure, Activision serves to manage numerous third-party studios and publish all of the parent company's games outside of those created by Blizzard. The four made the decision to soon leave Atari and start their own business, but were not sure how to go about it. Some developers had already left Atari, only to be hired back as contractors, effectively doubling their pay rate, but the four wanted something more ambitious. In 1979, the concept of third-party developers did not exist. as software for video game consoles were published exclusively by makers of the systems for which the games were designed. The four decided to create their own independent game development company. They were directed by their attorney to Jim Levy, at the time working for GRT Records to raise venture capital to go into the manufacture of cassette tape drives for early home computers. Levy listened to their plans, agreed with its direction, and helped the four to secure about US$1 million in capital from Sutter Hill Ventures. By August, Crane and Miller had left Atari, with Whitehead and Kaplan joining them shortly after. Activision was formally founded on October 1, 1979, with Levy serving as CEO. The company was initially named "Computer Arts, Inc." while they considered a better title. While the four had thought of the name VSync, Inc., there was fear that the public would not understand or known how to say it; Levy's suggested the idea to combine "active" and "television" to come up with Activision. The four's departure from Atari created a major dent in Atari's developer staff, and Atari pursued legal action from 1980 to 1982 to try to shut down Activision, claiming the four had stolen trade secrets. The lawsuit was settled by 1982, with Activision agreeing to pay royalties to Atari but otherwise legitimizing the third-party development model. The four were aided by their knowledge of the Atari 2600 to be able to develop their cartridges as well as software tricks with the console in making their own games, trying to make them visually distinctive from Atari-produced games. Each developed their own title, about one a year over the first few years of the company. To further distinguish themselves, Activision's boxes were brightly-colored, and predominately used an in-game screenshot on the back cover so consumers would be aware of what they were getting. Instruction manuals for games devoted a least one page to credit the developer. Additionally, for nearly all of Activision's games through 1983, the instruction manual included instructions for sending the company a photograph of the game's completion by the player as to received an embroidered patch in return. Activision's breakout title is considered to be 1982's Pitfall!, created by Crane. Over the next few years, over 4 million copies of the game were sold. Total revenues around 1983 were estimated to be about US$60 million, at which point they had around 60 employees. 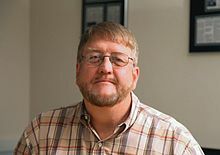 Danny Goodman stated in Creative Computing Video & Arcade Games in 1983, "I doubt that there is an active [Atari 2600] owner who doesn't have at least one Activision cartridge in his library". The company launched a success initial public offering in 1983 on NASDAQ under the stock ticker AVSN. The founders were given the Game Developers Choice "First Penguin" award in 2003, reflecting on being the first successful third-party developer. The success of Activision, alongside the popularity of the Atari 2600, led to many more home consoles third-party developers as well as other home consoles. Activision produced some of its Atari games for the Intellivision and Colecovision consoles, among other platforms. However, several new third-party developers also arose, attempting to follow the approach Activision had used but without the experience they had; according to Crane, several of these companies were founded with venture capital and hired programmers with little game design experience off the street, mass-publishing whatever product the developers had made. This was a contributing factor to the video game crash of 1983, among other factors. For Activision, while they survived the crash, they felt the effects of the crash in the following years. These third-party developers folded, leaving warehouses full of unsold games, which savvy retailers purchased and sold as a mass discount (US$5 compared to Activision's US$40 manufacturer's suggested retail price). While there was still a demand for Activision games, uneducated consumers were more drawn to the heavily-discounted titles instead, reducing their income. Because of this, Activision decided that they needed to diversity their games onto home computers such as the Commodore 64, Apple, and Atari 8-bit family to avoid a similar event. There still was a drain of talent through 1985 from the crash. Kaplan left Activision in 1983 to return to Atari as he wanted to be more involved in hardware development. Miller and Whitehead left in 1984 due to the large devaluation of their stock, and went to form Accolade. With the video game crash making console game development a risky proposition, the company focused on developing for home computers with games like Little Computer People and Hacker, while Levy tried to keep expenditures in check as they recovered. Looking to expand further, Activision acquired, through a corporate merger, the struggling text adventure pioneer Infocom in June 1986. This acquisition was spearheaded by Levy, who was a big fan of Infocom's titles and felt the company was in a similar position as Activision. About six months after the "Info Wedding", Activision's board decided to replace Levy with Bruce Davis. Davis was against the purchase of Infocom from the start and was heavy-handed in its management, and even attempted to seek a lawsuit to recover their purchase from Infocom's shareholders. Crane also found Davis difficult to work with, and was concerned with how Davis managed the closure of Imagic, one of the third-party development studios formed in Activision's success in 1981. Crane left Activision in 1988 and helped Gary Kitchen found Absolute Entertainment in 1988. In 1989, after several years of losses, Activision closed down the Infocom studios, extending to only 11 of the 26 employees an offer to relocate to Activision's Silicon Valley headquarters. Five of them accepted this offer. Notably during this period, Mediagenic, via Activision, secured the rights to distribute games from Cyan Worlds. The first game published by Activision from Cyan was The Manhole, on CD-ROM for personal computers, the first major game distributed in this format. Davis' management of Mediagenic failed to produce a profitable company; in 1991, Medigenic reported a loss of US$26.8 million on only US$28.8 million profit and had over US$60 million in debt. Cyan severed their contract with Activision, and instead turned to Broderbund for publishing, including what would become one of the most significant computer games of the 1990s, Myst. Bobby Kotick had become interested in the value of the video game industry following the crash, and he and three investors tried to buy Commodore International as to be able to gain access to the Commodore Amiga line of personal computers. Failing to complete this, the group bought a company that licensed Nintendo characters, and through Nintendo was directed to the failing Mediagenic. Kotick was drawn to buy out Mediagenic not for its current offerings but for the Activision name, given its past successes with Pitfall! with hopes to restore Activision to its former glory. Kotick and additional investors bought Mediagenic for approximately US$500,000 in 1991; among these investors included real estate businessman Steve Wynn and Philips Electronics. Kotick became CEO and made several immediate changes: He let go of all but 8 of the companies' 150 employees, performed a full restructuring of the company, developed a bankruptcy restructuring plan, and reincorporated the company in Los Angeles, California. In the bankruptcy plan, Kotick recognized that Mediagenic still had valuable assets, which included the Infocom library as well as its authority tools to make games, Activision's distribution network, and licenses to develop on Nintendo and Sega home consoles. Kotick offset some debt by giving stock in the company to its distributors as to keep them vested in the company's success. Kotick also had the company reissue several of its past console and Infocom titles as compilations for personal computers. Kotick had also recognized the value of the Zork property from Infocom, and had the company develop a sequel, Return to Zork. Combined, these steps allowed Mediagenic to fulfill on the bankruptcy plan, and by the end of 1992, Kotick renamed Mediagenic to the original Activision name. The new Activision went public in October 1993, raising about US$40 million, and was listed on NASDAQ under its new ticker symbol ATVI. By 1995, Kotick's approach had met one promise he made to investors: that he would give them four years of 50% growth in revenues while remaining break-even. Reaching this goal, Kotick then set Activision on his second promise to investors, as to develop high-demand games as to make the company profitable by 1997. With several of its own successfully-developed games helping to turn a profit, Kotick led Activision to start seeking acquisitions of video game development studios, guided by market surveys to determine what areas of content to focus on. It is estimated that between 1997 and 2008, Activision made 25 acquisitions, several for undisclosed amounts. Several of these came prior to 2001, in the midst of the Dot-com bubble, enabling the company to acquire studios at a lower valuation. By June 2000, Activision Holdings was created as a holding company within Activision to manage more effectively Activision and its subsidiaries. Immediately after, Activision changed its corporation name from "Activision, Inc." to "Activision Publishing, Inc.", while Activision Holdings took Activision's former "Activision, Inc." name. Activision Publishing became a subsidiary of Activision in this transition. Raven Software: Raven was founded in 1990; because of their close proximity, Raven frequently collaborated with id Software, and some of the studio's early successes was the Heretic series using id's Doom engine. Around 1997, Raven's founders Brian and Steve Raffel felt the need to seek a parent company. They arranged a publishing deal with Activision in 1997, which not only served to provide Raven addition financial support, but also gave Activision the opportunity to work closely with id Software and gain business relationships with them. By the end of 1997, Activision acquired Raven as one of its first subsidiaries under Kotick. Neversoft: Prior to its acquisition in 2000, Activision had arranged a development deal with Neversoft to re-develop Apocalypse, a title that failed to be completed within Activision. Subsequently, Activision had Neversoft work on a prototype for a skateboarding game, which would end up becoming the first in the Tony Hawk's series of skateboarding video games. Tony Hawk's Pro Skater was a critical success, leading Activision to acquire Neversoft in April 2000. After eight games, the series has brought in US$1.6 billion. Infinity Ward: After Electronic Arts released Medal of Honor: Allied Assault in 2002, several of the developers from 2015, Inc., disenchanted with their current contracts, left to form a new studio, Infinity Ward. Kotick himself provided the group with startup funding, as they were seeking to develop a similar title to Medal of Honor. Activision acquired the studio for US$5 million in January 2003, and later publish their first title, Call of Duty, directly competing with Electronic Arts. The Call of Duty series has since seen nearly yearly releases and as of 2016 had sold more than 250 million units and brought in more than US$12 billion in revenue. Treyarch: The Santa Monica, California studio was founded in 1996. With the success of the first Tony Hawk game from Neversoft, Activision used Treyarch to assist in further Tony Hawk games as well as to develop titles using Activision's license of Marvel's Spider-Man. Activision acquired the studio in 2001 for about US$20 million. Following the success of Call of Duty from Infinity Ward, Activision moved Treyarch to assist in the series' development, trading off each year' major release between the two studios. Gray Matter Interactive: While Gray Matter was originally founded in 1993 as Xatrix Entertainment, it was rebranded to Gray Matter in 1999 as they began work on Return to Castle Wolfenstein, in conjunction with Nerve Software and oversight by id Software who owned the Castle Wolfenstein IP. Activision, the game's publisher, acquired a portion of Gray Matter's stock during this time. Return to Castle Wolfenstein was a critical and financial success, and led Activision to acquire the remain shares of Gray Matter in 2002 for about US$3.2 million, with the intent to help Infinity Ward expand out the Call of Duty franchise. In 2005, Activision made the decision to merge the smaller Gray Matter into the larger Treyarch to put their combined talents towards Call of Duty 3. Red Octane: Around 2005, Red Octane was co-developing Guitar Hero, a console game based on the arcade game GuitarFreaks, with Harmonix; Harmonix was developing the software while Red Octane developed the instrument controllers. Guitar Hero was a major success. Activision purchased Red Octant for nearly US$100 million in June 2006. The series has since earned more than US$2 billion in revenues. Toys for Bob: Toys for Bob was founded by Paul Reiche III, Fred Ford, and Terry Falls in 1989 and gained success in developing the first two Star Control games, and later made film-to-video game adaptions. Activision purchased the studio in 2005, and had given them work on some of the Tony Hawk's games as well as other licensed properties. Following Activision's merger with Vivendi, Activision gained the intellectual property of Spyro, and Activision gave Toys for Bob to develop the series in a new direction, leading to the toys-to-life Skylanders series. While Activision was highly successful with its range of developers and successful series, Kotick was concerned that they did not have a title for the growing massively multiplayer online market, which presented the opportunity for continued revenues from subscription models and microtransactions instead of the revenue from a single sale. Around 2006, Kotick contacted Jean-Bernard Lévy, the new CEO of Vivendi, a French media conglomerate. Vivendi had a games division, Vivendi Games, that was struggling to be viable at the time, but its principle feature was that it owned Blizzard Entertainment and its highly-successful World of Warcraft game, which was drawing in US$1.1 billion a year in subscription fees. Vivendi Games also owned Sierra Entertainment. Lévy recognized Kotick wanted control of World of Warcraft, and offered to allow the companies to merge, but only if Lévy held the majority shares in the merged group, forcing Kotick to cede control. Kotick fretted about this decision for a while, according to friends and investors. During this time in 2006–2007, some of Activision's former successful properties began to wane, such as Tony Hawk's, and Activision faced harsher competition from Electronic Arts, who had purchased Harmonix after Activision bought Red Octane as to develop Rock Band, a competing title to Guitar Hero. Kotick met with Blizzard's president Mike Morhaime, and learned that Blizzard had also had successful inroad into getting their games into China, a potentially lucrative market. Given this potential opportunity, Kotick agreed to the merger. Activision's board signed onto the merger by December 2007. The merger was completed in July 2008. The new company was called Activision Blizzard and was headed by Kotick, while Vivendi maintained a 52% share in the company. The new company was estimated to be worth US$18.9 billion, ahead of Electronic Arts, which was valued at US$14.1 billion. Activision Publishing remains a subsidiary of Activision Blizzard following the merger, and is responsible for developing, producing, and distributing games from its internal and subsidiary studios. Eric Hershberg was announced as Activision Publishing's CEO in 2010. Activision Publishing established Sledgehammer Games in November 2009. Formed earlier in 2009 by Glen Schofield and Michael Condrey, former Visceral Games leads that had worked on Dead Space, Sledgehammer intended to develop a Call of Duty spin-off title fashioned after the gameplay in Dead Space. However, in early 2010, legal issues between Infinity Ward and Activision Blizzad led to several members of Infinity Ward leaving, and Activision assigned Sledgehammer to assist Infinity Ward in the next major Call of Duty title, Modern Warfare 3. Since then, Sledgehammer, Infinity Ward, and Treyarch share development duties for the flagship series, with support from Raven and other studios as necessary. In February 2010, Activision Blizzard reported significant losses in revenue stemming from a slow down in Guitar Hero sales and from its more casual games. Subsequently Activision Publishing shuttered Red Octane, Luxoflux and Underground Development as well as laid off about 25% of the staff at Neversoft. Within the same year, Activision shuttered Budcat Creations in November 2010, and Bizarre Creations in February 2011. Hirshberg left the CEO position in March 2018, and the position remains open as of February 2019. Radical Entertainment in Vancouver, British Columbia, Canada, founded in 1991, acquired by Vivendi Games in 2005, laid off most staff in 2012. While studio name remains active within Activision, remaining staff support other projects and the studio does not have an ongoing development. Beachhead Studio in Santa Monica, California, founded in February 2011. Wanako Games in Santiago, Chile, founded in 2005, acquired by Vivendi Games on February 20, 2007, sold to Artificial Mind and Movement on November 20, 2008. FreeStyleGames in Leamington Spa, Warwickshire, United Kingdom, founded in 2002, acquired on September 12, 2008, sold to Ubisoft on January 18, 2017, subsequently renamed Ubisoft Leamington. ^ Crecente, Brian; Crecente, Brian (January 9, 2019). "Activision Blizzard Exec Shuffle Appoints New Heads of Activision, King, Emerging Business". variety.com. ^ "About Activision Publishing". www.activision.com. Activision Publishing. Archived from the original on September 20, 2014. Retrieved August 17, 2014. ^ Yarwood, Jack (March 27, 2016). "Easter Eggs: The Hidden Secrets of Videogames". Paste. Retrieved March 27, 2016. ^ a b c d e f g h i j k l m n o p q r Flemming, Jeffrey. "The History Of Activision". Gamasutra. Archived from the original on December 20, 2016. Retrieved December 30, 2016. ^ a b Hubner, John; Kistner Jr., William F. (November 28, 1983). "What went wrong at Atari?". InfoWorld. Originally published in the San Jose Mercury News. p. 151. Retrieved March 5, 2012. ^ "DAVID CRANE INTERVIEW (1994)". Video Game Ephemera. Archived from the original on March 4, 2016. Retrieved December 10, 2014. ^ Wired Staff (June 15, 2007). "Console Portraits: A 40-Year Pictorial History of Gaming". Wired. ^ a b c d e f g h i j Beller, Peter (January 15, 2009). "Activision's Unlikely Hero". Forbes. Retrieved February 12, 2019. ^ Hillard, Kyle (October 23, 2016). "Activision Badges – The Original Gaming Achievement". Game Informer. Retrieved February 12, 2019. ^ Levi Buchanan (August 26, 2008). "Top 10 Best-Selling Atari 2600 Games". IGN. Retrieved September 24, 2008. ^ "Small Company Initial Public Offerings: June 1983". Inc. June 1983. Retrieved February 12, 2019. ^ "First Penguin Archive". Game Developers Conference. Retrieved February 12, 2019. ^ Orland, Kyle (August 13, 2014). "The rise and fall (and rise and fall) of gaming's third-party exclusives". Ars Technica. Retrieved February 12, 2019. ^ a b c "A Short History Of Activision". Edge. August 24, 2006. Archived from the original on April 4, 2013. Retrieved February 13, 2019. ^ a b "Down From the Top of Its Game: The Story of Infocom, Inc" (PDF). MIT. December 15, 2000. Archived (PDF) from the original on November 5, 2015. Retrieved February 12, 2016. ^ "InfoWorld". InfoWorld Media Group, Inc. October 3, 1988. Archived from the original on December 30, 2016. Retrieved December 30, 2016 – via Google Books. ^ a b c d e f Sengstack, Jeff (June 24, 1996). "Activision: Reorganized, Redefined and on the Rebound". NewMedia. Archived from the original on January 28, 1998. ^ a b c d Gallagher, Dan (December 4, 2008). "Kotick changes the game at Activision Blizzard". Market Watch. Retrieved February 12, 2019. ^ Casamassina, Matt (February 18, 2010). "Activision Passed on The Sims". IGN. Retrieved March 2, 2019. ^ a b Lohr, Steve (December 28, 1993). "Market Place; Home Software's Treasure Hunt". The New York Times. Retrieved February 13, 2019. ^ a b Chalk, Andy (January 18, 2018). "Activision Publishing CEO Eric Hirshberg is leaving the company". PC Gamer. Retrieved January 18, 2018. ^ "From Dungeon & Dragons to Call of Duty: The Story of Raven Software". USgamer.net. Retrieved February 15, 2016. ^ Karon, Paul (August 8, 1997). "Activision set to acquire Raven". Variety. Retrieved February 14, 2019. ^ Kennedy, Sam (April 27, 2000). "Activision Acquires Neversoft". GameSpot. Retrieved February 13, 2019. ^ "Activision Blizzard Announces Fourth Quarter and Full Year 2015 Financial Results". Business Wire. February 11, 2016. Retrieved December 7, 2016. ^ "Activision to Acquire Treyarch Invention". Reuters. October 4, 2001. Retrieved February 14, 2019 – via The Los Angeles Times. ^ "Activision Acquires Rest Of Gray Matter Interactive". The Wall Street Journal. January 14, 2002. Retrieved February 14, 2019. ^ Hall, Charlie (May 8, 2018). "Meet the studio behind Call of Duty: Black Ops and Zombies mode". Polygon. Retrieved February 14, 2019. ^ Adams, David (May 3, 2005). "Activision Buys Toys for Bob". IGN. Retrieved March 2, 2019. ^ Takahashi, Dean (October 5, 2012). "How Toys for Bob turned Activision into a giant toy company with Skylanders". Venture Beat. Retrieved March 2, 2019. ^ Flemming, Ryan (February 16, 2013). "Inside Sledgehammer Games and the Biggest Gamble You Never Knew About". Digital Trends. Retrieved March 2, 2013. ^ Fritz, Ben (February 11, 2010). "Activision lays off about 200 employees, shuts down Santa Monica studio Luxoflux". The Los Angeles Times. Retrieved February 14, 2019. ^ a b c Plunkett, Luke. "Activision Shutters Guitar Hero Creators, GH: Van Halen Developers (Update)". Kotaku. Archived from the original on February 13, 2010. ^ "Updated: Activision shutting down Bizarre and Budcat studios?". PC Gamer. November 16, 2010. Retrieved February 15, 2019. ^ a b Wesley Yin-Poole (February 18, 2011). "Bizarre says goodbye with farewell video". Eurogamer.net. Retrieved May 15, 2011. ^ "Activision Publishing CEO Eric Hirshberg is leaving in March". venturebeat.com. January 18, 2018. ^ Schreier, Jason (June 28, 2012). "Prototype Creators Shutting Down". Kotaku. Retrieved March 6, 2019. Wikimedia Commons has media related to Activision.